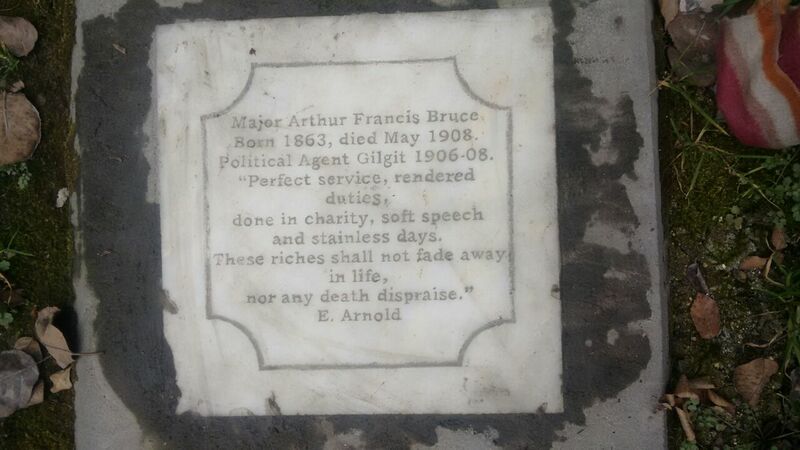 Gilgit: Seepage from a nearby water channel has damaged the grave of Major Arthur Francis Bruce, British colonial era Political Agent, buried in Gilgit city’s Gora Qabristan. The grave is covered by water from all sides. The land is soaked and the grave might collapse, locals fear. According to information written on a marble slab fixed on the grave, Major Arthur remained British political agent of Gilgit Agency from 1906 to 1908. He was born in 1863 and breathed his last while serving as Political Agent in 1908. It is pertinent to note that British colonial forces had occupied and ruled the present day Gilgit-Baltistan. The last battle against local rulers was won by the British invaders in 1892, when the combined forces of Hunza and Nagar were overpowered, after fierce resistance that could not be sustained due to lack of manpower and modern weapons. Many of the colonial force’s members are buried in what is locally called the Gora Qabristan (or white graveyard). 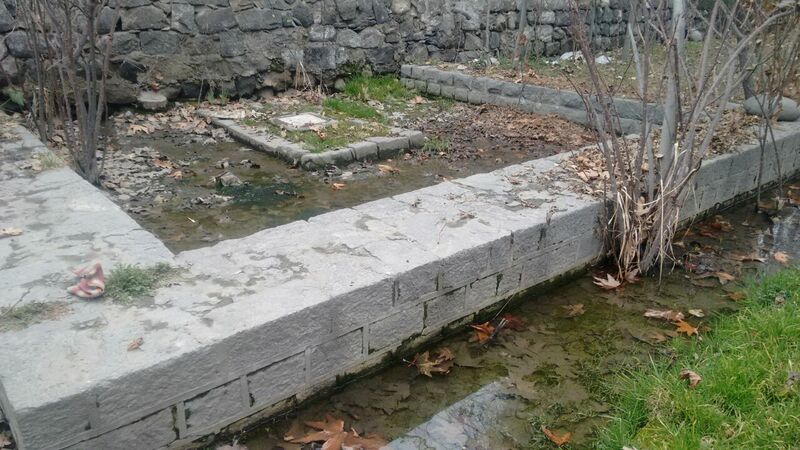 Remains of George Hayward, who was assassinated in Yasin Valley, are also buried in this graveyard. I was saddened to see the state of the garden around Political agents Bruce’s grave. Many years ago I was responsible for the refurbishment of this graveyard and it was the responsibility on NAPWD to pay for a warden to upkeep and maintain the site. I would be grateful if some responsible person could contact the NAPWD and ensure they rectify this situation. 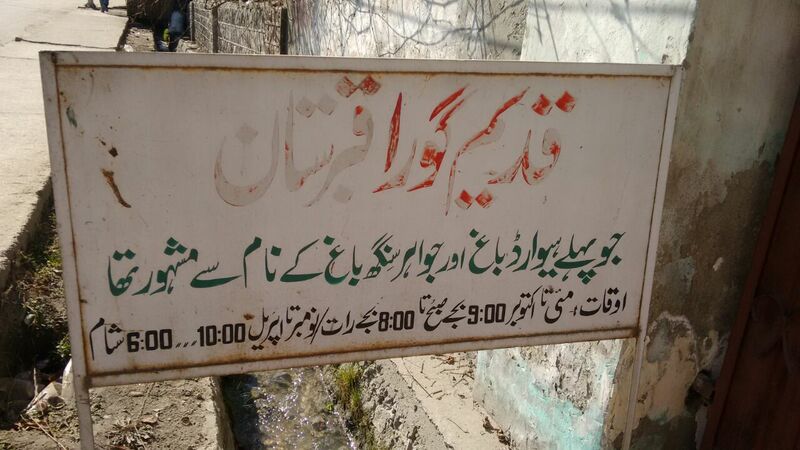 Another option is to contact Sajjad Masih of the Christian community, who will motivate the Christian Community in the town to work on this project.